Learn how to sew with 8 beginner sewing tutorials from your favorite designers and the editors of AllFreeSewing! Whether you are looking to sharpen your sewing skills or just learning how to sew, this brand new collection of sewing basics, thread and fabric resources, beginner sewing tutorials, and more is going to come in handy. AllFreeSewing has created a comprehensive guide on how to sew and sewists of all levels are going to love it. Designed especially with sewing newbies in mind, this free eBook on learning how to sew makes a great resource. Download this along with a beginner sewing tutorial or free sewing pattern and start out your sewing journey with an excellent partner. Sewing for Beginners: Learn How to Sew with 8 Sewing Tutorials provides you with the free sewing lessons you have been waiting for! Begin your sewing education today with this guide by your side. Download your free copy of the Sewing for Beginners: Learn How to Sew with 8 Sewing Tutorials today! I am honestly so excited to be bringing you this amazing collection of how to sew tutorials that are going to help you master all of your sewing basics in no time. Learning to sew can be such a rewarding experience, but it can also be extra stressful. A lot of sewists are self-taught and save a dime by using free sewing resources to teach themselves how to sew. This is why we decided to compile this collection of beginner sewing tutorials in one place. We have a wide range of readers on our site and we wanted to make sure that we are providing the best possible information for anyone who visits our site looking to learn everything they can about sewing. It is such a wonderful and gratifying hobby that we, the editors, want to share it with everyone. Sewing for Beginners: Learn How to Sew with 8 Sewing Tutorials is a resource you are going to use time and time again. Even after you master and complete the tutorials in this free sewing eBook, the infographics and must-know information located in the How to Sew: Helpful Resources section (pg. 43) at the end of the book will be a quick go-to guide with any questions you might have. The creation of this book would not have been possible without the help of the expert sewing designers who lent their skills to help us create a well-rounded set of tutorials that are sure to teach any level of sewist some brand new sewing basics. We love offering hundreds of free sewing patterns, but we love providing resources like the Make Your Own Clothes: How to Make a Pattern tutorial (pg. 37) or the Quick Tips: How to Cut Fabric Perfectly (pg. 14) even more. You use a pattern once or twice. A skill will stay with you for much longer. Learn essential sewing tips and tricks in this free eBook, Sewing for Beginners: Learn How to Sew with 8 Sewing Tutorials. Download your copy today! Getting started is half the battle and when it comes to beginner sewing projects, it can be hard for a new sewist to figure out where to start. That is why we start out our collection of free sewing tutorials with a checklist for sewing and some before you sew tutorials. Using free sewing patterns can be tough and confusing. Learn the ins and outs of how to read and how to use a sewing pattern with these tutorials. Quick Tips: How to Cut Fabric Perfectly (pg. 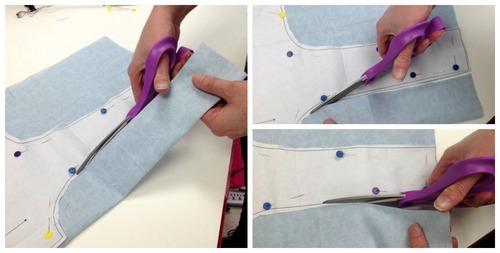 14): Learn how to cut out your pattern and how to cut fabric with this helpful tutorial. 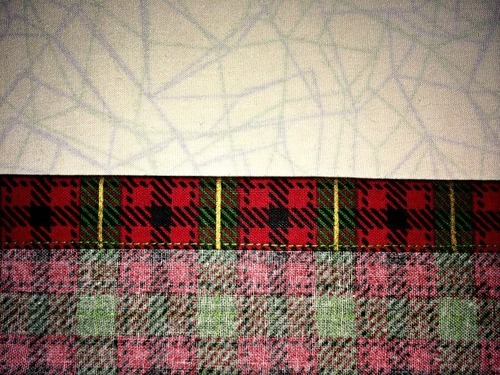 Sewing Tips and Tricks: How to Pin a Pattern (pg. 17): After you cut that pattern out, learn how to pin it to perfection. If you want to learn how to sew, there are some basic skills you absolutely need to get started. Whether it is learning how to hem, how gather fabric, or even just learning the most basic stitches on your machine, we have compiled 8 tutorials in this eBook that will teach you exactly how to sew the most basic sewing skills. These guides are smart, helpful, and explained by some expert designers that you love! How to Hem: Basic Double Fold Hem (pg. 26): Learn how to hem in just a few short steps. If you are making your own clothes or learning how to sew, this is one step you cannot miss! How to Stitch: Stitching Basics (pg. 21): Become an expert in basic stitching with your sewing machine with this interactive tutorial and download free sewing practice sheets! In addition to tutorials and all that basic information, we have equipped this how to sew manual with some must-have sewing resources and infographics. Keep this handy information for as long as you want when you download our free eBook. Never have a question about what thread to use or what kind of fabric works best for what you’re sewing again. What Types of Thread to Use: A Guide (pg. 43): Not all thread is created equal even if it is hard to tell the difference. 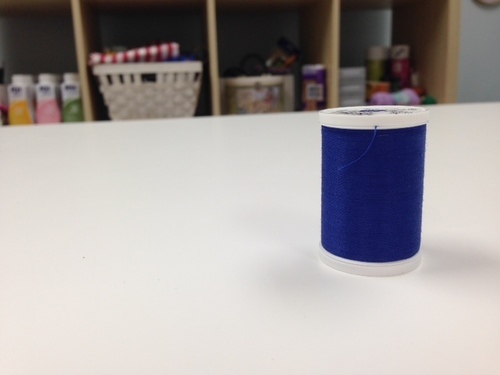 Learn which type of thread to use with different kinds of fabric. Glossary of Sewing Terms (pg. 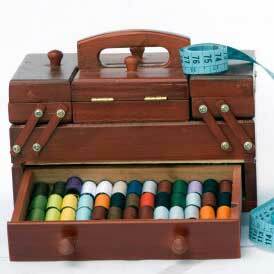 47): This comprehensive list of sewing terms is just the list you need. This mini dictionary located at the back of our how to sew guide will come in handy the next time the wording on a sewing pattern or free sewing tutorial confuses you! New to the digital experience or simply can't quite figure out how to get your eyes on this full collection of free sewing projects? No problem! We're here to help.You can easily download and print out each book for on-hand reference while crafting. For help downloading our eBooks, check out the FAQ here: How to Download our eBooks. There are even more free eBooks that you can access on all kinds of subjects. Learn how to sew for baby, how to make DIY gifts, and so much more! Every free eBook offered on AllFreeSewing surrounds a theme designed to fit your needs. Download each free eBook to keep on your desktop, tablet, or mobile device, or print out a copy for yourself! See our full eBook collection right here.